Edging California's Newport Coast beaches, these well-appointed villas overlook the Pacific Ocean. 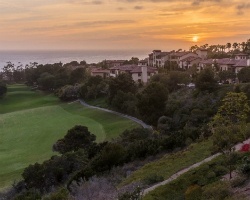 Guests will enjoy unlimited opportunities for swimming and golf, including two championship 18-hole golf courses at the nearby Pelican Hill Golf Club. 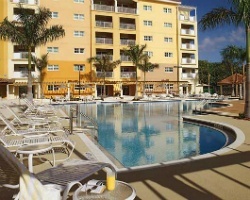 Among other recreational enticements are a fitness center with sauna and steam room, three outdoor pools, three outdoor whirlpool spas, walking trails, and barbecue areas. 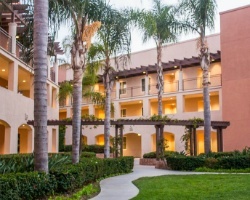 A full-service spa and a convenience store are located on site. A pool bar and grill is open during the summer months. 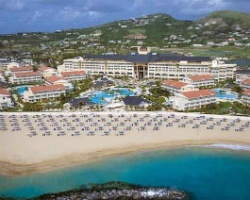 *Marriott's St. Kitts Beach Club* captures the many moods of romantic and relaxing St. Kitts. Explore the island and take in the beauty of its emerald forests and turquoise waters. When it's time to relax after a day spent enjoying the sun and surf, two- and three-bedroom, air-conditioned units, complete with DVDs, provide a home away from home. 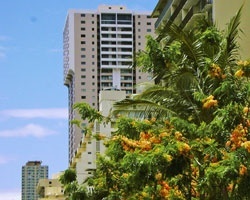 Situated within one of the most prestigious areas of Miami, *Marriott's Villas at Doral* is located moments from the excitement of South Beach, yet a world away! Enjoy privileged access to the celebrated Doral Golf Resort & Spa where five championship courses await your challenge and a classic European spa welcomes your surrender. 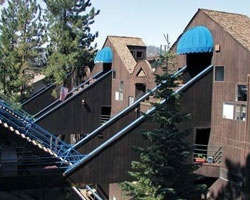 *Thunderbird Resort Club* is close to casinos, skiing, special events, Lake Tahoe and great food! 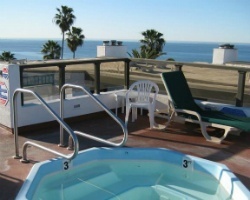 The property is a townhouse complex with a swimming pool and whirlpool, and the resort is surrounded by many attractions. 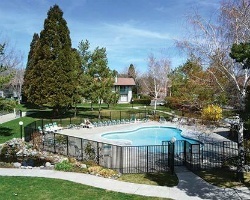 Thunderbird Resort Club is very close to downtown Reno, an 18-hole golf course, tennis courts, and water sports! *La Costa Beach Club Resort* offers you the opportunity to swim in the ocean, in one of two outdoor pools, or in the indoor pool. 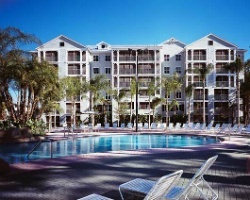 At the resort, you'll also find an exercise room, indoor and outdoor hot tubs, saunas, and shuffleboard courts. 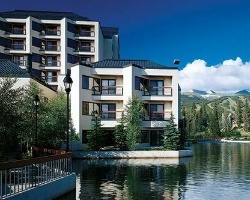 Golf and tennis are available minutes from the resort. One mile away is a fishing pier. 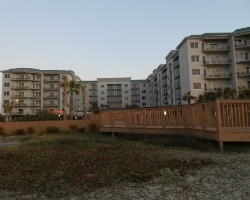 Several daytime and nighttime activities are just minutes away. For additional sight-seeing, you're about 33 miles from Miami and Palm Beach. 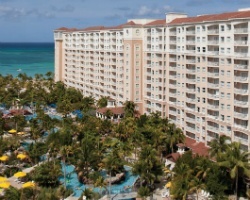 For a fee, the resort offers beach gear such as chairs, cabanas, umbrellas, and towels. *Holiday Inn Club Vacations Galveston Beach Resort* is a beachfront property located just an hour's drive from Houston, Texas, and is a world away from big city cares and stresses! 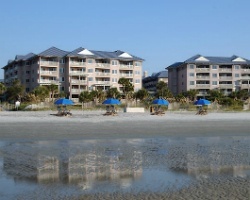 Pick a spot on the sand and let the gentle Gulf breezes work their magic on you. 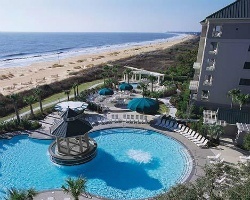 This lovely resort is set along the Gulf of Mexico's enchanting waters. 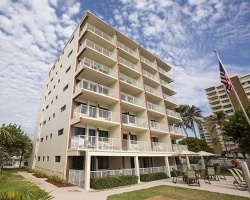 The one or two bedroom condominiums are each complete with a spacious living area, kitchen, and a balcony that opens to breathtaking views of the beach and the Gulf! 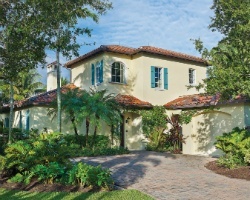 For more information, visit www.orangelake.com. Once the favorite recreation spot of Hawaiian kings, beautiful Ka'anapali Beach invites you to enjoy its perfect sand and surf. 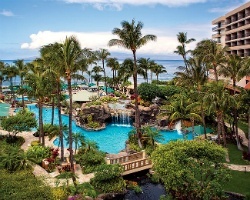 Known as the place to be seen, *Marriott's Maui Ocean Club - Lahaina & Napili Villas* is a premier oceanfront resort complex bringing you the best of Hawaii, including golf courses exquisitely landscaped and luscious. Adjacent to the championship Ka'anapali Golf Courses, your villa is just minutes from Kapalua, another lavish resort area offering a trio of the best courses on Maui. This is the place where you should be seen playing on the beach, luxuriating at the pool or spas, enjoying a tennis match, or working out at the health club to stay in shape for the sailing and snorkeling. 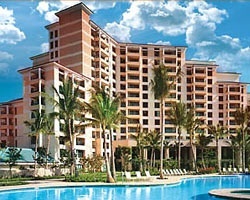 Entertainment and restaurants are so excellent that the Maui Marriott Luau has been acclaimed the best on the island! Imagine sweeping beaches, sun drenched boardwalks, a crystalline blue pool, and soothing Atlantic breezes blowing your cares away! That's the Villa life on the beach on exclusive Singer Island. 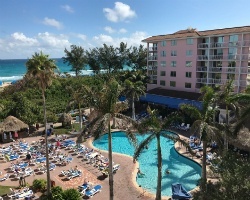 That's the *Palm Beach Shores Luxury Villas* - a place where all of your cares are quickly absorbed in uncompromising service, incredible surroundings, and a bounty of opportunity for adventure, relaxation, and sport. It's a place for lovers. It's a place for families. It's a place for anyone who puts a premium on value.